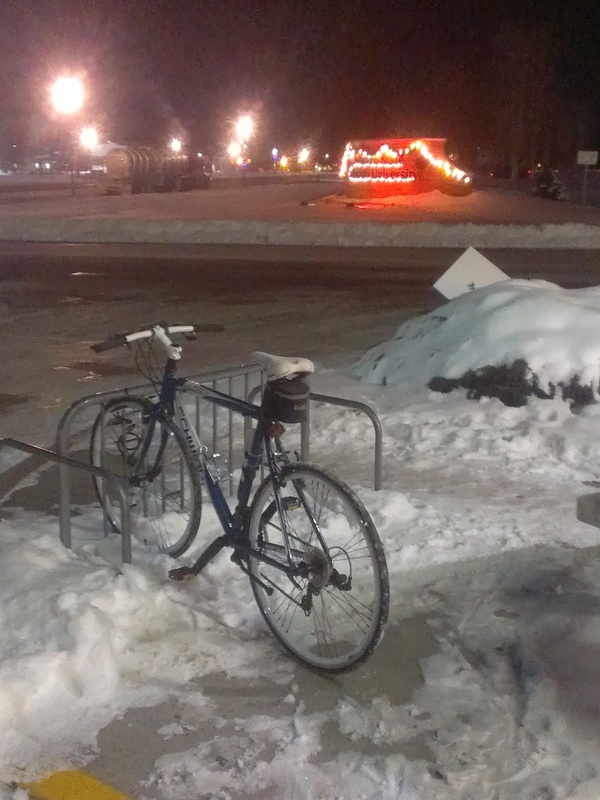 Worker in Gunnison, CO rides bike in winter... It was 4 below zero F !!! I had to leave a note on the bicycle telling the rider that I was IMPRESSED ! Gunnison, CO is cold.... I went to College there many years ago. Gunnison often is the coldest reported temperature in the USA.